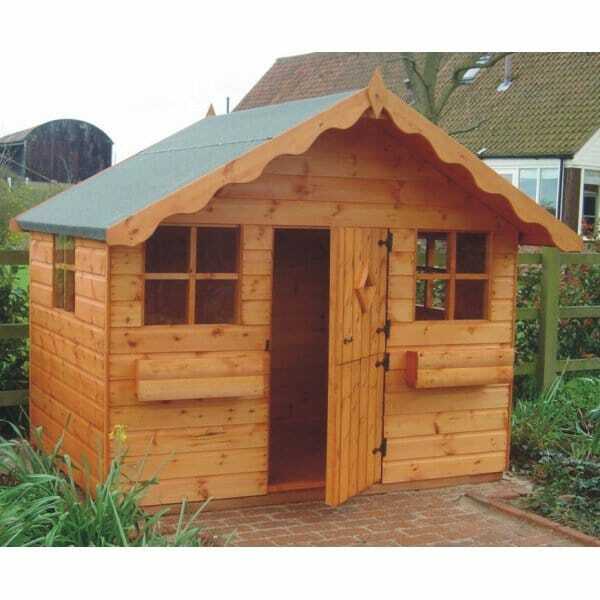 A1 Cottage Playhouse 5' x 7' / 7' x 7: The A1 Cottage Playhouse is a beautiful playhouse available in two sizes to suit the size of your garden and the age of your children. This single storey playhouse features traditional design with a canopy to provide shelter, the whole building is finished with lovely attention to detail that makes the playhouse a pleasure to look at and play in. The perspex windows are fixed in place and feature two on the front and two on the sides. The stable style door is a well thought element which adds extra character to the whole playhouse. The veranda offers a nice finish to the whole building. A playhouse is perfect for keeping your children and their friends entertained for hours at a time in the comfort of your own home and garden.